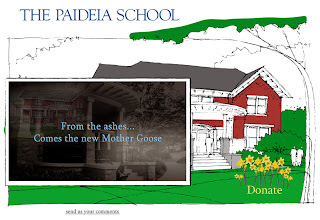 Last night Nate and Bridgit were presented with an IABC Atlanta Silver Flame Award for the Mother Goose Alumni Fundraising video we produced earlier this year for The Paideia School. The Golden Flame Awards program is a yearly event held by the IABC/Atlanta chapter to recognize excellence in communications. Awards are granted in Bronze, Silver and Gold categories for programs that achieve measurable results. A little background about the project and its results are included below. Be in touch if you'd like a copy of the case study! Paideia's 16-acre wooded campus is located in Atlanta near Emory University and includes 14 buildings. The building known as The Mother Goose burned down on October 2, 2009. It was a small single story home that housed some of Paideia’s most beloved history teachers. After the fire, school officials decided to maximize the available footprint by building a larger, more sustainable building. In order to construct a larger building, Paideia needed to raise funds beyond the amount of the insurance claim. School officials solicited donations from all constituents, with a special challenge designed for the alumni. Due to the global nature of the alumni audience, officials felt the video would provide a compelling visual aid to drive home the loss of the building, and it was a critical part of the overall fundraising success. After several letters, emails, phone calls and a special brochure, the video seemed to create the most buzz. For alumni that may not have visited Paideia in recent years, it was an incredibly powerful medium that provided a visual reminder of a place they loved and where some of their favorite teachers taught. In the 7 days immediately after it was released, the video received 446 hits, or roughly 22% of the total audience. Earlier this month we produced an employee town hall for executives at The Coca-Cola Company, three days after Coca-Cola expanded its North American workforce with its acquisition of Coca-Cola Enterprises' North American operations. 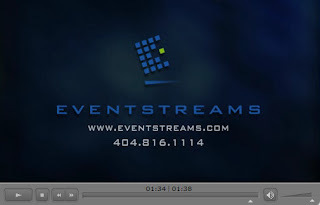 For months we worked closely with the IT and Communications teams on event logistics and technical configuration. 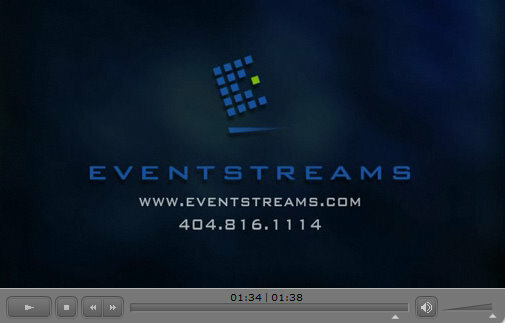 About 300 people attended the event in Atlanta, and another 30,000+ watched a live video stream. Production photos of our team in action are included below! We're also working on a case study about our partnership with CCE and the live webcasting and virtual town halls we've produced all across the country for them this year. More details soon! We've updated our demo reel! It's been a while since we did a major refresh, so we took some time to collect scenes and graphics from recent projects and edit them together with a new music track. This is the best way for us to show the essence of our work without sharing full-length projects. If you are contemplating video production, be in touch to see other examples!